Azione Grammatica! 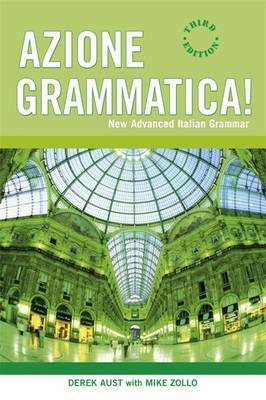 is the new edition of the highly successful grammar reference textbook for those studying Italian at intermediate level and above. Although updated to include contemporary language together with summary and revision points and a brand new design, Azione Grammatica! has retained the approach to grammar learning that has made it the choice for A level and Higher grade students, undergraduates, students in further education and adult learners.